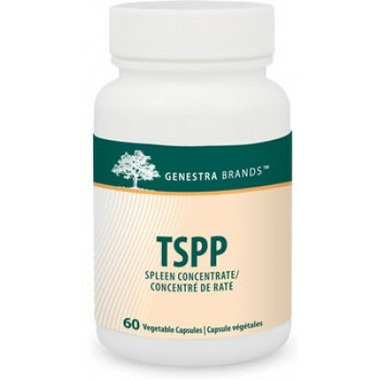 Genestra TSPP Spleen Extract provides a high concentration of biologically-active proteins, hormones and nucleic acids needed for proper spleen function. TSPP Spleen Extract is made of freeze-dried bovine spleen powder, 300 mg per capsule. This convenient capsule format increases patient compliance. TPAN provides spleen tissue from bovine. The capsules are 100% pure vegetable-sourced.